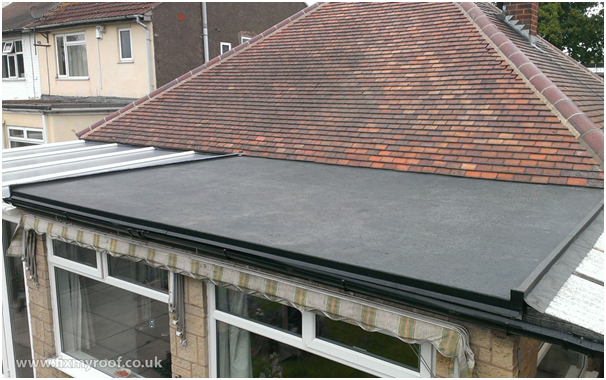 Cracking & Bubbling – Flat roofing can sometimes be prone to what some call ‘alligatoring’. The roof material ages and loses its elasticity, leading it to crack and bubble which looks a little like the skin of an alligator. 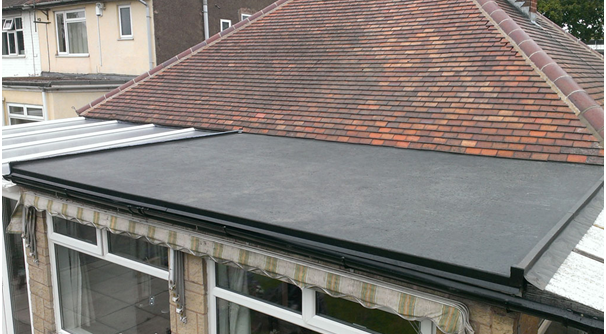 If you see this on your flat roof, unfortunately there is nothing can be done apart from a complete replacement. Water Pooling – This is a fairly obvious problem to imagine. As the roof is flat, any rain or snow will find it harder to drain away than with a sloped roof. Shifting of time, your roof might also end up not as level as it was when it was installed, especially if it’s a few years old. Water can pool in small dips on the roof. Roofing materials are designed to withstand water but over time, you could notice leaks into your inner roof. Any lingering water could deteriorate the condition of the roof and shorten its lifespan. Buckle – Most flat roofs consist of a membrane covered in asphalt which is laid across the top of the building. The membrane for a flat roof comes in one large piece which means that as your house shifts and settles over time, so too will the roof. Any excessive movement will cause the membrane to buckle and thus bring an end to the life of your flat roof. A buckled roof is unsafe and can cause huge problems for the future, so will need replacing as soon as possible. Flashing – As with many materials, asphalt will expand and contract in different temperatures. During its lifespan, this continually movement can cause the flashing to come away from the corners and edges of the roof. This leads to excess moisture entering inside your roof cavity. Regular examinations and maintenance can help to prevent prolonged deterioration of flashing, which if left unrepaired, can lead to the need for a new roof. Cracks – Flat roofs, by their nature, have more pressure exerted on them, since they are flat and not sloped. A build-up of pressure causing excess stress on the structure can lead to the roof cracking. You’ll need to call a roofing professional immediately to prevent water damage to your home and to assess if the roof is still structurally sound.